Last weekend we were invited to dine at The Belle Vue Pub & Grill over in Blackpool, Lancashire. We arrived about 30 minutes early of our booking time of 5.30pm but were courteously taken to our reserved table without a problem. 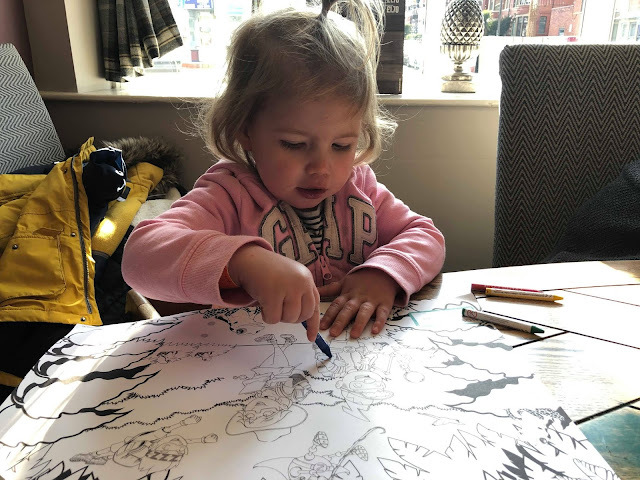 The staff member immediately noticed we had a young child with us and didn’t hesitate to provide us with a high chair, some crayons and colouring paper, which was greatly appreciated. The manager introduced himself to us and let us know that if we needed anything just ask our waiter and he will sort if for us. This was our first time visiting Belle Vue but noticed it had been renovated recently, everything looked fantastic and clean. We spent quite some time looking through the menu as there was a really great variety of meals, it was very difficult trying to decide what to have. 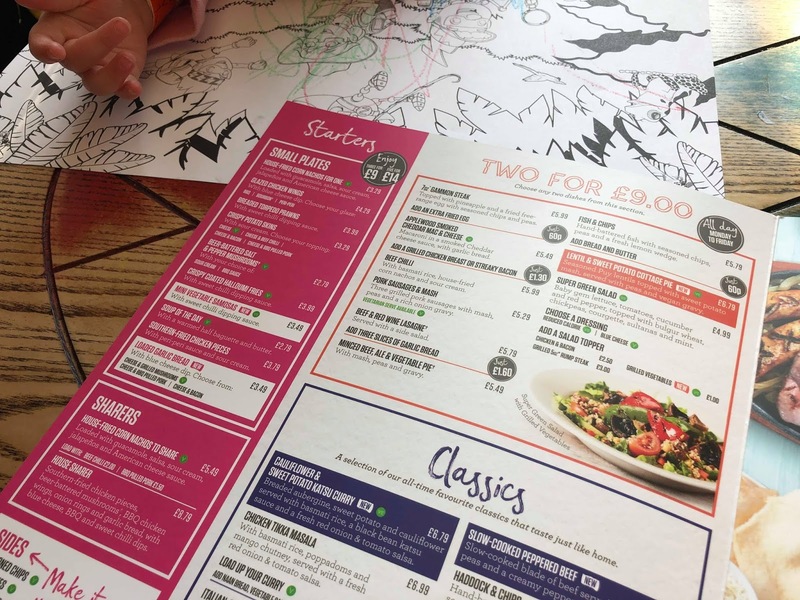 We noticed the prices seemed really fair for both drinks and food, which is great when dining as a family. We finally settled on a chicken fajita sizzling skillet, a tandoori chicken burger and 2 kids chicken nugget meals with chips and corn on the cob. 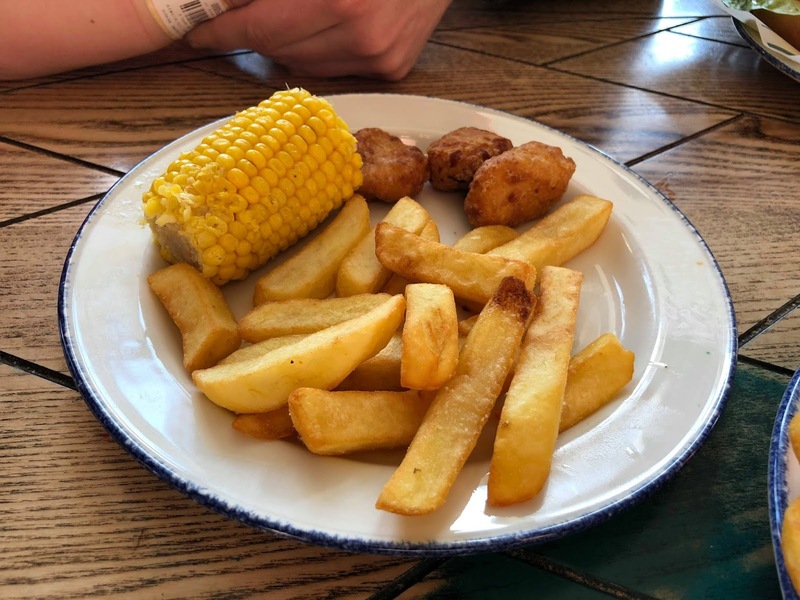 One thing to note with the kid's meals is that they offer two different portion sizes, one for under 5’s and one for over 5’s. 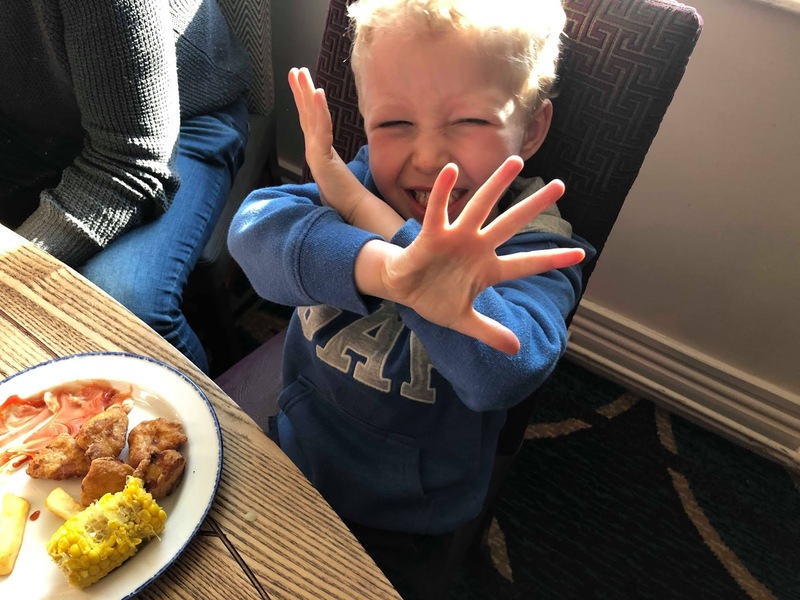 We didn’t have to wait long at all for our food to come which was surprising as it was quite busy and we were relieved as we were ready for some good food after spending the day at Blackpool Pleasure Beach. When the food arrived the first thing we commented on was the generous portion size, great value for money! The fajita skillet was sizzling away and looked so appetising. It included succulent pieces of chicken breast on a bed of grilled peppers and onions accompanied by 4 small flour tortilla wraps, sour cream, salsa, jalapenos, and cheddar cheese. 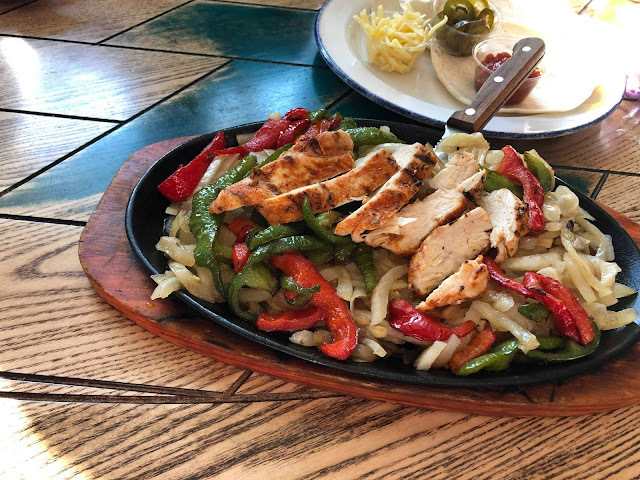 I’ve had fajitas at Mexican restaurants which cost considerably more than at the Belle Vue and I can honestly that this was easily on par, if not better. It was full of flavour, the chicken was juicy and tender, the tortillas were soft and warm and the whole thing came together to create a mouth-watering, very satisfying meal. 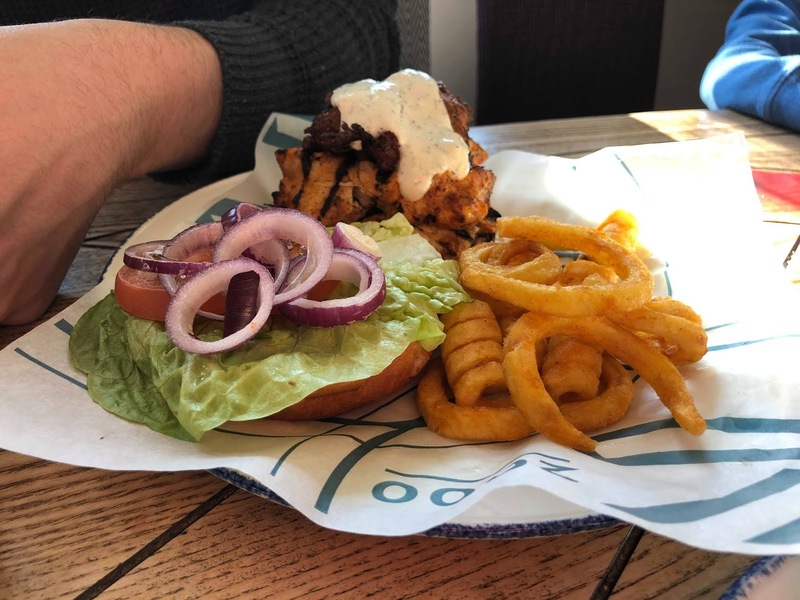 My partner opted for the Tandoori Chicken Burger meal which consists of chicken tandoori marinated chicken fillets, topped with onion bhajis and minted sour cream with a portion of curly fries on the side. When it arrived, it was literally a tower of a burger, he was so impressed. It was well seasoned, tender and held together well considering the amount of food sandwiched between the bun. The bhajis were crisp on the outside and soft in the middle. He said that it tasted fantastic and he would definitely order it again. 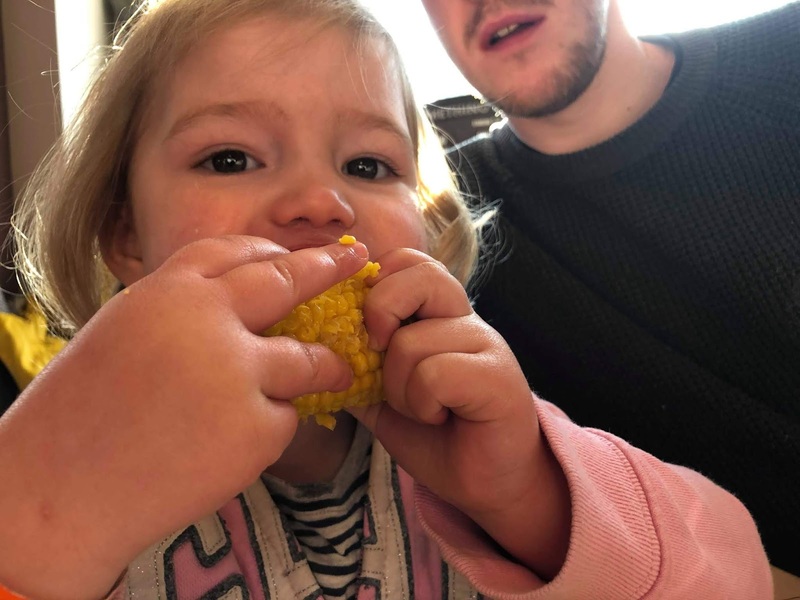 Noah and Ava were more than happy with their chicken nugget meal, both of them diving straight into the corn on the cob. Included in the kid’s meal was a dessert of their choice. They both love ice cream, so we went for the “Build your own Sundae" which consists of 2 scoops of vanilla ice cream with little pots of Cadbury’s buttons, Aero chocolate, fresh strawberries, and chocolate sauce. I think this is such a great idea for children as it encourages them to get involved in creating their own dessert and they really enjoyed doing it though they both had a different approach. Noah put ALL of the toppings on straight away and dived in. Ava, on the other hand, added her strawberries and chocolate sauce but ate the buttons separately. However, they were similar in the fact that they both cleared the lot. The dessert menu was impressive and featured classic cakes, pudding, ice cream and more. 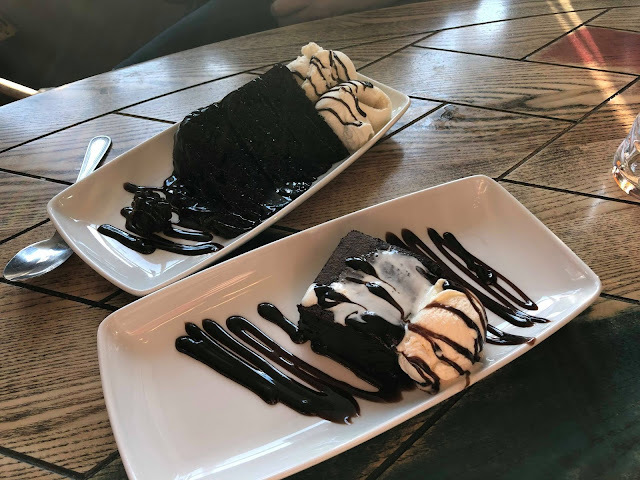 We could not resist ordering our own and decided to go for the Chocolate Fudge Cake and a Belgian Chocolate Brownie. Both were served with ice cream and the brownie is served warm. We tried one another's dessert and both agreed that the brownie was superior. 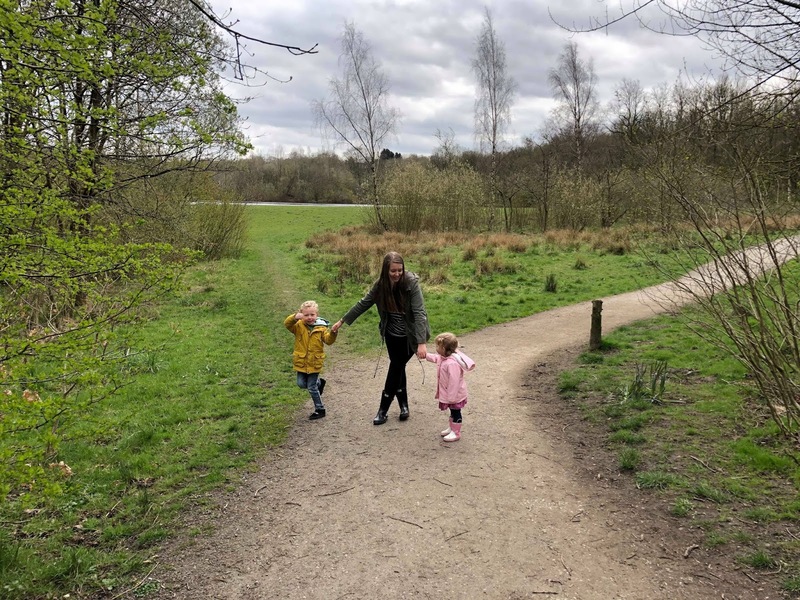 Our experience at the Belle Vue was nothing but positive. We could not fault the quality of the food in any way and really felt that you get great value for money too. 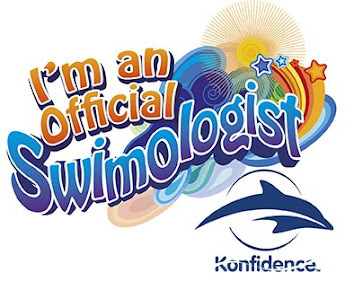 The staff are attentive, polite and helpful, ensuring your time here is as relaxing and comfortable as possible. As frequent visitors to Blackpool, there is no doubt that we will definitely be visiting again. Head to their website to view the Sizzling Pub & Grill menu or to find your local grill. Disclaimer: We received this meal free of charge for the purpose of this review, however, all opinions are my own. 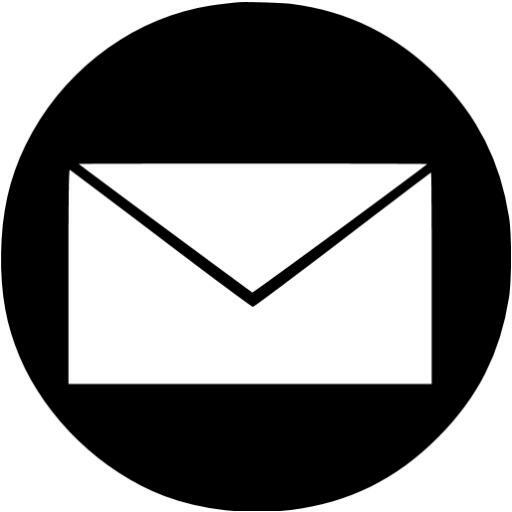 AD - This is a PR Collaboration. 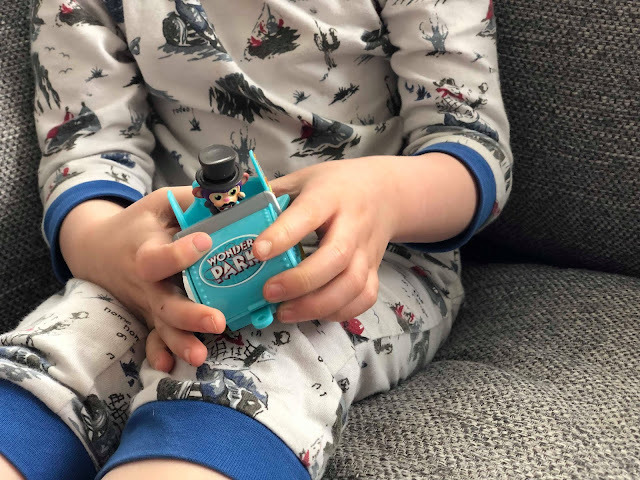 Little Tikes are a much-loved brand, one which has provided years of fun for children, not just in this country but across the world too. This year Little Tikes celebrate their 50th birthday which I think speaks volumes. They must be doing something right to still be a household name so many years later. To celebrate their birthday I was offered a selection of different toys for the kids to review. I could have chosen a sandpit, or a water table, both of which looked amazing but it had to be the Cozy Coupe! Does anything scream Little Tikes more than their iconic Cozy Coupe? Their ride on cars have been around since 1979 (longer than I've been alive) and 40 years later children are still drawn to them, like a moth to the flame! They've certainly stood the test of time. Cozy Coupe's have evolved over the years, making slight improvements here and there but the main thing to change is how we aren't limited to just one type of car anymore. The classic red Cozy Coupe is still available but there's now so many other different colours and designs to choose from. There's a Cozy Coupe perfect for every child, whether it's the dinosaur one, the princess, the fireman, the taxi cab, the police car and so on. 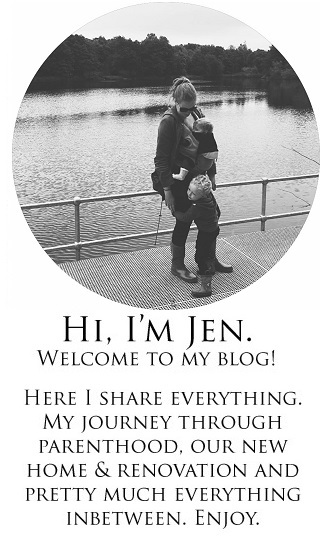 I decided to go all out and opted for the Fairy Cozy Coupe for the purpose of this review. The Cozy Coupe arrived in a large cardboard box and needed to be assembled. It was a little trickier to put together than we anticipated, however, I left that part to Nick and I put myself on sticker duty. Most of the Fairy details are applied by adding numerous stickers, in fact, even the stickers had stickers on. It took around an hour to put together but it was worth every minute because I know that it's well put together, sturdy, robust and will last the children years. It didn't take long before Ava was glued to the Cozy Coupe's seat, she was raring to go! 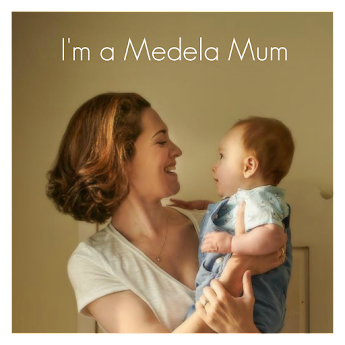 In fact, she was sat in the driver's seat before it had a roof or a set of wheels and when it was time to give it a test drive she was straight out the door. At just two years old she finds it easy to climb in and our the car and took to the steering wheel and horn straight away. 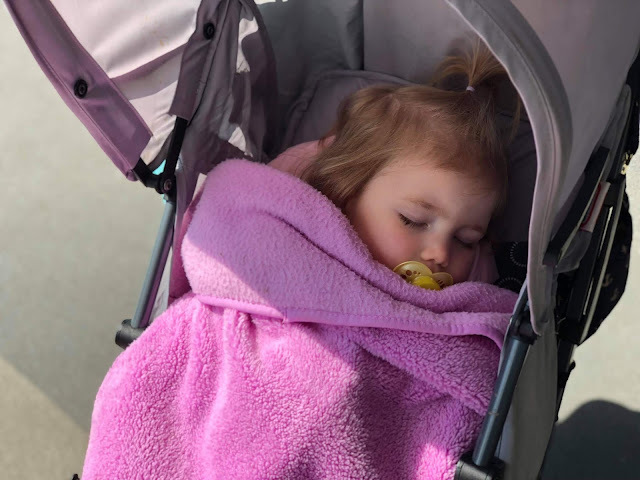 Not only does Ava spend time "driving" around in her new Cozy Coupe but it's also a catalyst for so many role-play scenarios for her too. She likes to drive off to the shops to buy some snacks, or she declares that she's going to work to see her Daddy. She also likes to grab her little handbag and one of her dolls to take out in the car with her. It's so cute to watch her play. The kids have only had the Cozy Coupe for a few weeks but if I'd have bought it I would already have my money worth! It's played with constantly. 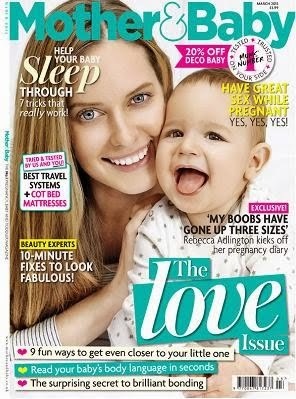 If Ava isn't in it then Noah and his best friend are taking turns to have a go. It's become quite the attraction on our street, it's like a moth to the flame, just like I mentioned earlier. The Little Tikes Fairy Cozy Coupe is suitable for children from 18 months of age and retails at £49.99. Visit the Cozy Coupe section on the Little Tikes website to find your nearest stockist. Wonder Park is a new animated children's movie brought to you by Paramount Animation and Nickelodeon Movies, set to be released in the UK on the 8th of April. It tells the story of an amusement park, run by a group of animals, which is brought to life through the imagination of a little girl named June. 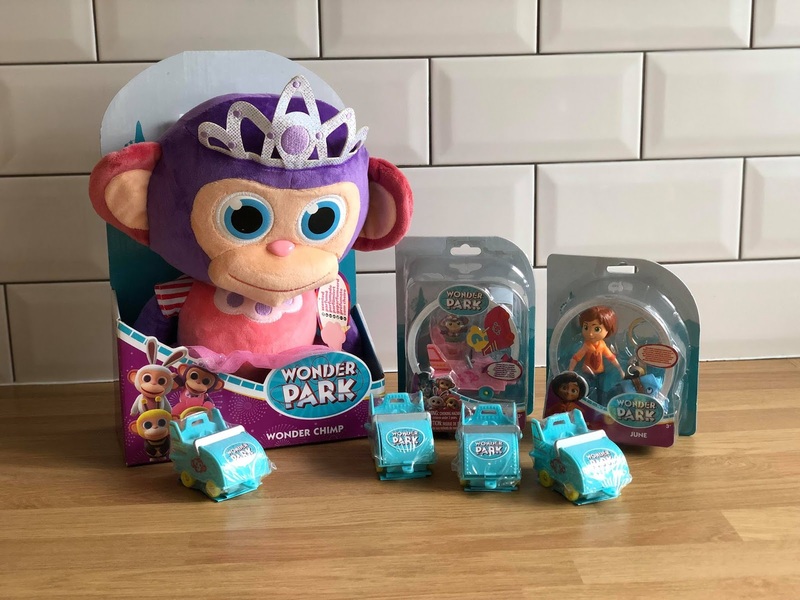 Noah and Ava were so excited to see the film at the cinema, even more so now after receiving these fantastic products from the new Wonder Park toy collection. We opened the Wonder Chimp Surprise 3 Pack (RRP £5.00) and the Wonder Park Figure (RRP £7.00) first because the kids are partial to their "packs" as they like to call them. 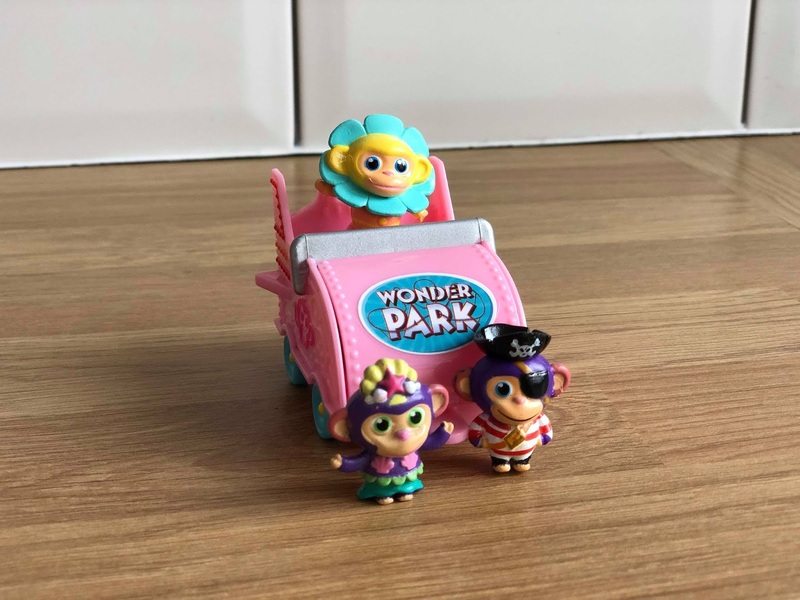 The Wonder Chimp Surprise 3 Pack contains a plastic rollercoaster cart and 3 Wonder Chimps. 1 chimp is on display and another two are hidden, waiting to be unveiled. 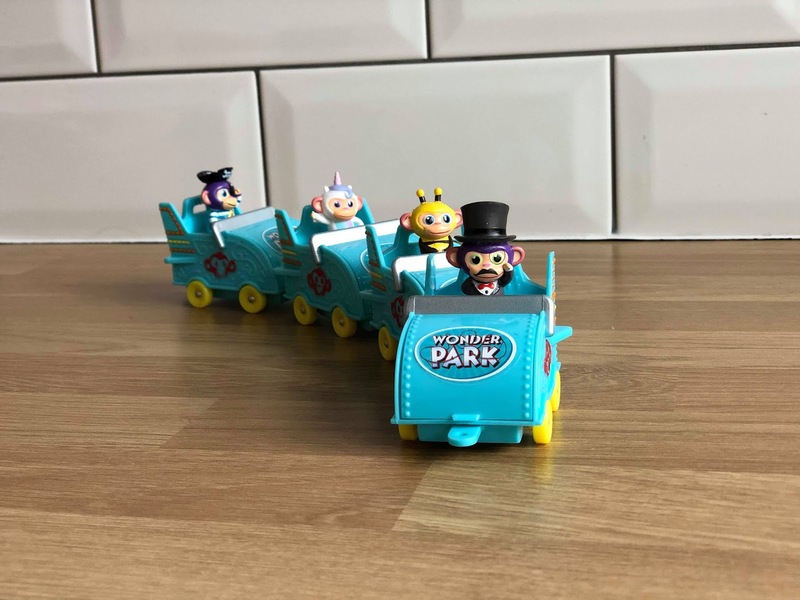 The rollercoaster carts aren't just a piece of throwaway plastic, they a toy which can be connected with others to form a huge coaster. 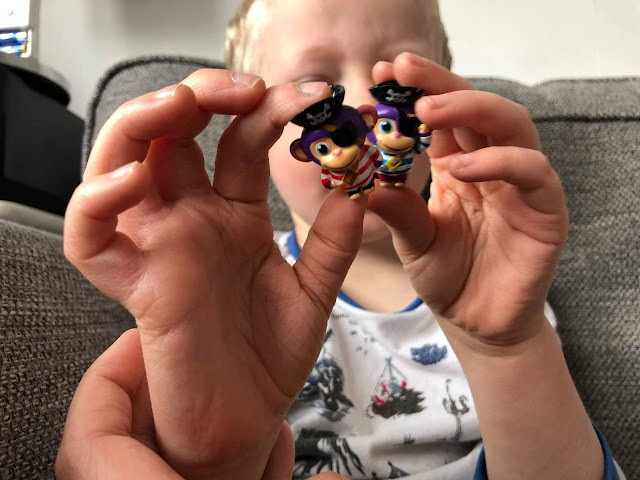 There are over 30 Wonder Chimps to collect in series 1 and Noah was delighted with the three chimps that he found in his first pack. 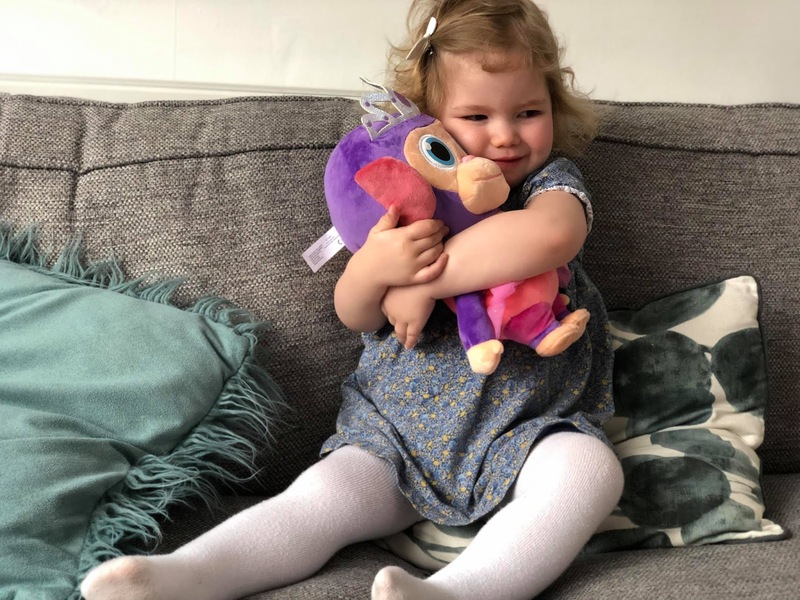 There's an array of different Wonder Park figures to collect and we were delighted to receive June, who is the star of the movie. She's a decent sized figure and looks very much like the character in the film. She has a fully articulated body and comes with a little backpack, which actually doubles up as a keychain. Noah likes to put the little Wonder Chimps into the backpack and then pops it on her shoulders. I think he'll be more excited about this toy when we have watched the movie together and he knows the character better. 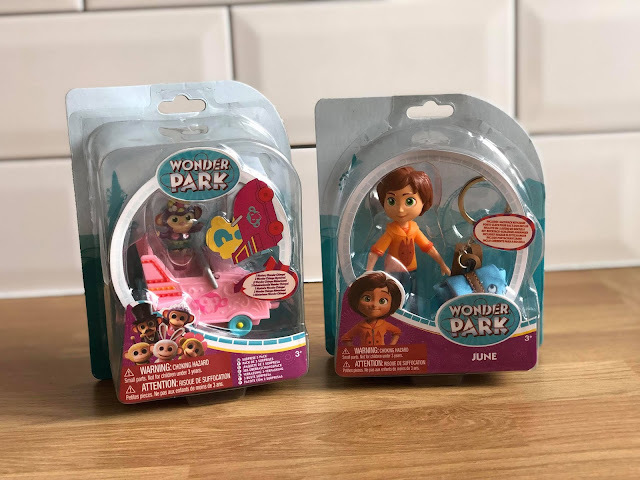 Next, we opened the Wonder Chimp surprise single packs which are like the Wonder Chimp 3 pack but are cheaper (cannot confirm RRP yet but I'd presume around the £2.00 mark) and contain just one chimp. The cart colour is different from the three pack (blue) and the colour is set to change with every series. Noah was sent four of these and received a different character in each cart. I sense the start of a new collection coming on! 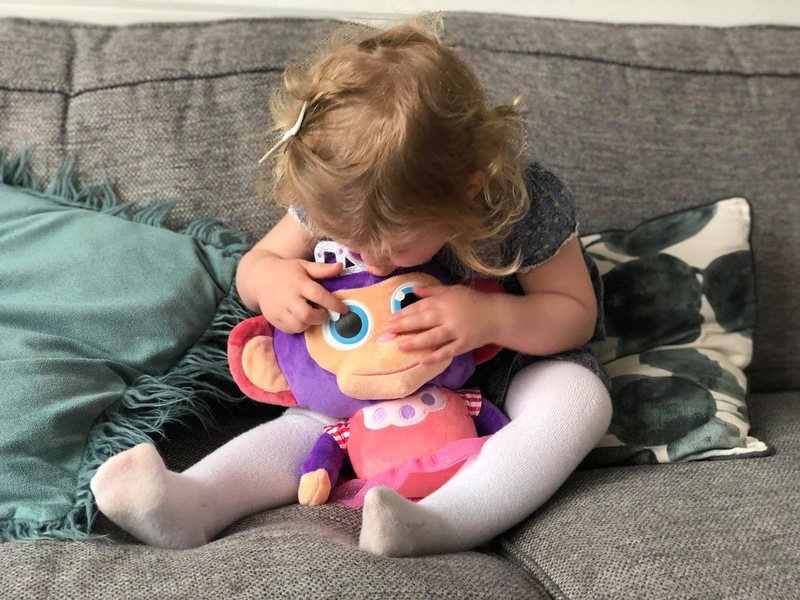 Last, but not least we have the Scented Wonder Chimp soft toy (RRP £15.00) which Ava has hogged since the moment she set eyes on it. 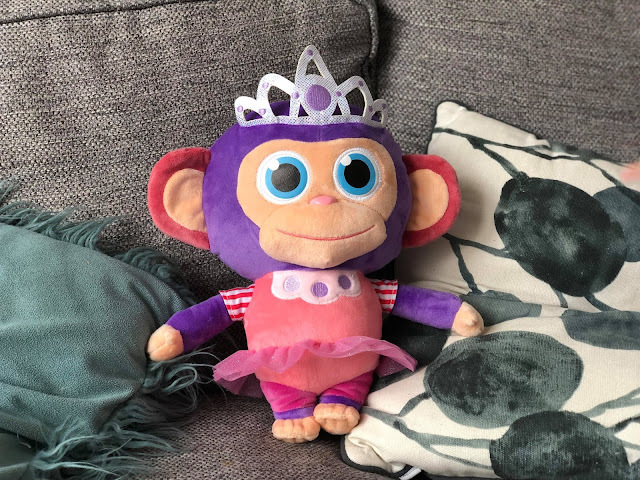 We received the Princess chimp for the purpose of this review, but just like the other toys in this collection, there are other characters available. It's quite a large soft toy, one which is extremely huggable and is scented just like candyfloss. 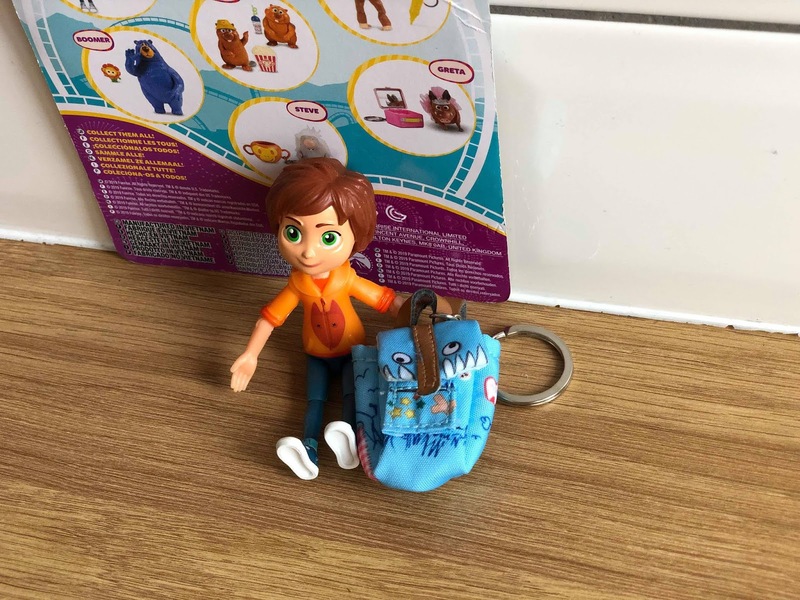 In the movie, Wonder Chimps are the official souvenir of Wonder Park so it's great that kids are able to take the magic home and actually have one of their own! Ava hasn't put it down since it arrived last week, it's her new best friend! All toys featured in this review are suitable from 3 years and vary in price. Discover these toys and more, online, and in-store at The Entertainer. 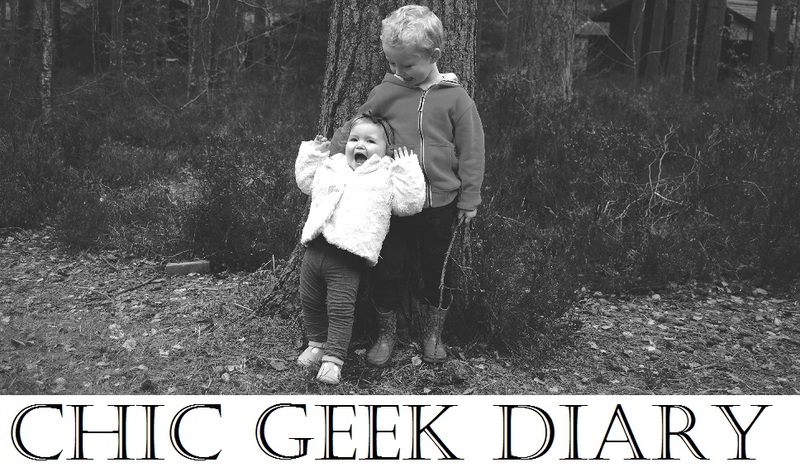 - We were sent these toys for the purpose of this review, however, all opinions are my own.